The groups assert that the Park Service is violating its statutory mission to preserve wild bison and "leave them unimpaired for the enjoyment of future generations." The suit also cites the U.S. Forest Service for failing to manage the Gallatin National Forest in a way that would allow for healthy populations of bison, sage grouse, and related wildlife. Both agencies have refused requests by plaintiffs and others to reconsider the bison management plan in light of new scientific information and changed circumstances related to bison, including a recent independent study which concluded that the actual risk of disease transmission from free-roaming bison to cattle in Montana would be zero in most years, and limited to predictable "hot spots" in others. Rosebud Sioux tribal elder Rosalie Little Thunder, chairperson for plaintiff Seventh Generation Fund's Tatanka Oyate Project, says, "The continuing slaughter of wild buffalo by the National Park Service is an affront to indigenous peoples and an abrogation of the government's trust responsibilities to the American people and American Tribes." According to Tom Woodbury, the Montana Director for Western Watersheds Project, the lead plaintiff in the suit, the IBMP is broken. "One of the twin aims of the bison plan was 'to ensure the wild and free-ranging nature of American bison'" said Woodbury. "While the Park Service was sending over 1400 bison to slaughter in 2008, a Congressional investigation was concluding that the agencies are no closer to ensuring free-roaming bison today then they were in 2000," Woodbury said. The American bison is recognized as a keystone species. Bison's distinctive grazing, wallowing and horning behavior creates important habitat for many "species of concern" in Montana, including the sage grouse. According to Glenn Hockett, a range ecologist and President of the plaintiff Gallatin Wildlife Association, "Bison play a key role in keeping prairie grasslands healthy and are an important food source for human hunters, grizzly bears, wolves, eagles, and many other species. 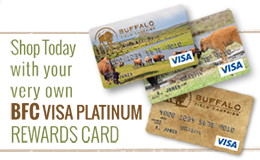 Our members value wild bison as a Montana big game species as well as for wildlife viewing and photography." A recent study by the U.S. Fish and Wildlife Service concluded that "wildlife watching is a major force, driving billions in spending around the country." "These economic impacts can be the life-blood of a local economy," according to the study, and "rural areas can attract thousands of wildlife watchers each year, generating millions of dollars." Meghan Gill, a doctoral student at the University of Montana and long time bison advocate, joined in the suit for her own reasons. "The cruelty to these animals that I and others have witnessed should not be part of a sanctioned government plan," Gill said. "I've watched government agents haze bison with helicopters in the dead of winter, forcing them to expend the energy they need to survive harsh conditions," Gill continued, "run them into barbed wire, over frozen lakes where the bison drowned when the ice broke, and worse." Gill said she finds it particularly disturbing that "every spring the government agents repeatedly haze calving female bison and newborn calves miles into the park off of Horse Butte peninsula despite the protests of local residents who have attempted to create a bison sanctuary there by buying out all the ranches and removing all the cows. This year they even chased a newborn calf with a broken leg," Gill said, "but every year there are similar stories." Gill maintains that "the day-to-day bison management operations are a complete waste of taxpayer dollars on an inexcusable, illogical plan that most people would never condone if they witnessed it themselves." Stephany Seay, a spokesperson for Buffalo Field Campaign, another plaintiff in the suit, disputes the common but unsubstantiated claim by the State of Montana that lethal bison management is necessary to protect livestock from brucellosis, a minor European cattle disease. "Brucellosis is a fraud being used by the cattle industry to maintain control over public lands grazing," Seay said. "This issue is not about brucellosis at all; it's a centuries-old range war being fought over who gets to eat the grass." The Yellowstone bison population includes America's last continuously wild herds, and is the last population that still follows its migratory instincts. As unique native herbivores that evolved across the North American continent, scientists believe bison can help restore the native grasslands, sagebrush steppes, and prairie ecosystems that are considered to be some of the most endangered habitats in the world. Dr. Sara Johnson with Native Ecosystems Council, another party to the suit, points out that sagebrush has been called "the mother of all ecosystems." She says, "contrary to the prevailing view of these lands as scrublands when cattle were introduced, sagebrush habitat has more biological diversity associated with it than any other habitat we know of." Johnson says, "managing natural bison habitat for cattle, as the Forest Service has been doing for too long, favors invasive weeds, degrades our shared landscapes, and harms sensitive species like sage grouse, pygmy rabbits, and Brewer's sparrow." The coalition is asking the Court to prevent the U.S. Forest Service and National Park Service from continuing to participate in, allocate funding for, or permit the slaughter of wild bison on public lands, including trapping for transport to slaughter houses and quarantine facilities. The suit would not affect the state of Montana's bison hunt, scheduled to begin November 15, 2009, nor would it affect Native American tribes that retain treaty rights to hunt bison on National Forest lands. "Instead of federal persecution," Seay concluded, "America's last wild bison population deserves federal protection." Western Watersheds Project is a regional, membership, not-for-profit conservation organization, dedicated to protecting and conserving the public lands and natural resources of watersheds in the American West. WWP has its headquarters at the Greenfire Preserve in Custer County, Idaho; and is supported by more than 1,400 members located throughout the United States, including in Montana. WWP’s Montana office is in Misoula, and it also has offices and other staff in Boise, Hailey, and Salmon, Idaho, Wyoming, Utah, Arizona, and California. Through these staff, and with the assistance of numerous unpaid members and supporters, WWP is deeply involved in seeking to improve livestock grazing management on federal and state public lands, including on the federal lands at issue in this case. WWP is also involved in seeking to protect native wildlife and their habitat across the west, including bison and sage grouse. Buffalo Field Campaign is a non-profit public interest organization founded in 1997 to stop the slaughter of Yellowstone’s wild bison, protect the natural habitat of wild free-roaming bison and other native wildlife, and to work with people of all Nations to honor the sacredness of the wild bison. BFC has its headquarters in West Yellowstone, Gallatin County, Montana, and is supported by volunteers and participants around the world who value America’s native wildlife and the ecosystems upon which they depend, and enjoy the natural wonders of our National Parks and Forests. Tatanka Oyate is a project of the Seventh Generation Fund, an Indigenous nonprofit organization dedicated to promoting and maintaining the uniqueness of Native peoples throughout the Americas. Tatanka Oyate works to protect and restore the habitat of the last wild bison population in Yellowstone and create awareness for protecting and preserving sacred species in the plains region, an area of special significance to Native cultures. Tatanka Oyate was organized specifically to find the means to protect the genetically unique Yellowstone bison population. Gallatin Wildlife Association is a non-profit wildlife conservation organization based in Gallatin County, Montana. GWA represents concerned hunters and anglers in Southwest Montana and elsewhere. GWA is an affiliate of the Montana Wildlife Federation, which is an affiliate of the National Wildlife Federation. GWA is supported and run by volunteers, who advocate for adequate habitat for native wildlife, and opportunities for the public to view, hunt, and otherwise enjoy such wildlife and public lands. The Yellowstone Buffalo Foundation located in Bozeman, Montana, is committed to restoring buffalo (bison) on public land managed by states and the U.S. Government. The Yellowstone Buffalo Foundation aims to build a consensus on the national importance of wild, free ranging, genetically viable core herds of the animal named bison, also known as the American Buffalo, recognizing that there is presently a problem with buffalo range and habitat as illustrated by annual migrations of these wild buffalo out of Yellowstone National Park. The Yellowstone Buffalo Foundation works to find resolutions that recognize that humans share a biological ecosystem with all other life, including the buffalo. Meghan Gill is an individual who resides in Missoula, Montana in Missoula County. Gill is a former volunteer and staff member of the Buffalo Field Campaign, and has been concerned about and involved with the issue of bison management for several years. Since 2000, Ms. Gill has annually visited areas in and around Yellowstone National Park for the express purpose of viewing bison and other native wildlife in their natural habitat, and for advocating for their right and need to have year-round access to habitat outside of YNP. Charles (Chuck) Irestone is an individual who resides in Missoula, Montana in Missoula County. Irestone has been involved with advocacy for bison and other native species since 1998. Mr. Irestone has visited Yellowstone National Park and the surrounding areas numerous times annually since 1994. Mr. Irestone considers the Yellowstone bison the iconic symbol of our nation and a guide to our path of sustainability. Wild bison in the GYE and Mr. Irestone’s bison advocacy work inspired Mr. Irestone to cofound the Sustainable Business Council in Missoula. Every year, Mr. Irestone hikes in the back country of Yellowstone to see the bison in their natural setting, and intends to continue to do so. Daniel Brister is an individual who resides in Arlee, Montana in Lake County. Brister is a staff member of the BFC, and has been involved with bison advocacy since December, 1997. Mr. Brister travels to West Yellowstone regularly to conduct work for BFC, and to view wild bison in their native habitat. Mr. Brister first visited YNP in 1992, and was particularly moved by seeing wild bison in the area. He derives aesthetic, spiritual, cultural, and recreational enjoyment and benefits from viewing wild bison undisturbed in their native habitat, and his interests and enjoyment of the wild bison are injured by the agencies’ management actions that harm the bison, and threaten the future integrity of bison populations in the GYE.